To compare the difference of vapors' habits and preference at home and abroad, AMIGO made a survey by voting. I will show you the results. 1.Why do you choose the electronic cigarettes? In the three options of "taking place of the cigarettes", "running after the fashion", "showing off", the first one is the winner at the vote of 1125. 2.Do you still smoke the traditional cigarettes after you use the electronic cigarettes? Most of the users reduce the rate of smoking after using the electronic cigarettes. And one fifth of them quit smoking completely. The electronic cigarettes can take placer of the traditional smoking well. 3.How long did your device used most often last? Every option is voted evenly. On the whole, they change their devices frequently. 4.Which flavor of tobacco tar do you like? Many still prefer the smell of tobacco. And the fruit flavor take up the half part of the people. 5.Which point do you place most emphasis on while choosing electronic cigarettes? Compared to the enthusiasm of the large smoke at abroad, the vapors at home prefer the flavors. Besides, vapors are all placing emphasis on the appearance og the products. 6.By which do you often buy electronic cigarettes? The shops at home are not impeccable in every aspect compared to those at abroad. And many people in our country used to shop online. While shopping online, you need to distinguish the genuine and sham carefully. 7.How many devices of electronic cigarettes do you have? Most of the users are rational in buying. 20% of the users have just one set of device and half of them have not more than 5. 11% is taken up by those who have 5 to 10 sets. Of course there still is 4% who almost can’t control themselves in buying devices. 8.What is the highest price of electronic cigarettes you can accept? 58% of the users can accept from 500 to 800 yuan, while 29% suggest that they will buy a device of over 1000. Only 10 persons can accept the price of over 10000. In general, the users' habits and preference at home and abroad is similar. But users at home prefer the fruit flavor while those at abroad prefer the sweetmeats flavor; and in choosing devices, users at home prefer products of suitable flavors and beautiful appearance. 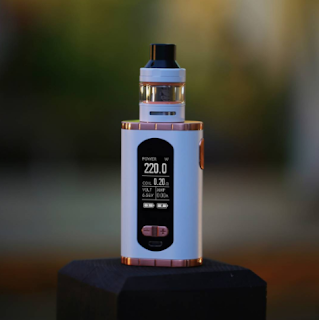 Besides, they prefer to buy electronic cigarettes online, like Eleaf® iStick online store because of the scale of physical shore at home.